When you need a quick potato salad, that ordinary store-bought potato salad you have in your refrigerator can go from blah to amazing in just a few minutes with just a few ingredients. We don't always have the time to make a potato salad from scratch. Sometimes it is just easier to stop by your local grocery store to pick up a container of the store-made potato salad. It's predictable. It will do. All it needs is a little doctoring. Take Your Potato Salad from Blah to AH-Mazing! What should you do if you want that store-bought potato salad to have a little more flavor? 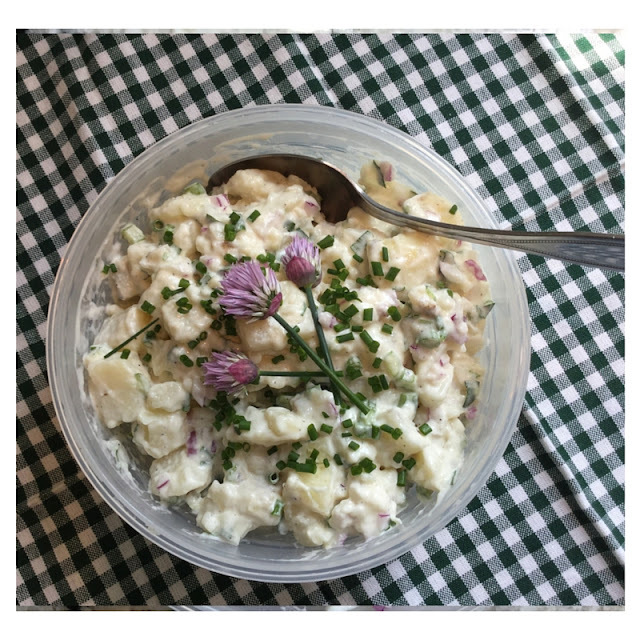 You're going to a potluck picnic or you are having people over for an impromptu barbecue and you'd like your potato salad to be a little special. There is no need to fret. A quick trip to the grocery store will get you started. Just buy a few additional ingredients that will kick up the potato salad's flavor. The first step in your journey from blah to amazing is to taste the store potato salad. You need to know what flavors you are starting with. The best store-bought potato salad is the one you like best. When buying from the deli counter ask for a taste before you buy. How does it taste? Does it need a little more salt and fresh ground pepper? Consider a little celery seed or some fresh dill. Both add wonderful flavor to a potato salad. Next, you'll want some add-in ingredients. You'll want to add a little color, some crunch, and little seasoning. 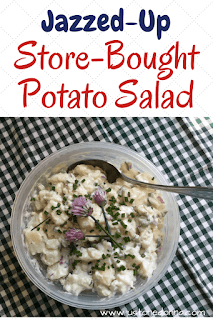 Here is my standard recipe for doctoring up a store-bought potato salad. Taste the potato salad to know your starting point. Add the celery, onion, and chives. Stir to combine. Taste and add salt and pepper. Cover and chill for at least an hour to allow the flavors to combine. Isn't that easy? Remember it is important to taste the potato salad again before you serve it to make sure the flavors are what you want them to be. You can add a little more of whatever the potato salad needs before you serve it. Serve this kicked up store-bought potato salad proudly. You've made it your own in a semi-homemade kind of way. Your family and friends will love it. Thank you for sharing this post on Facebook, Pinterest, Twitter, or Yummly. 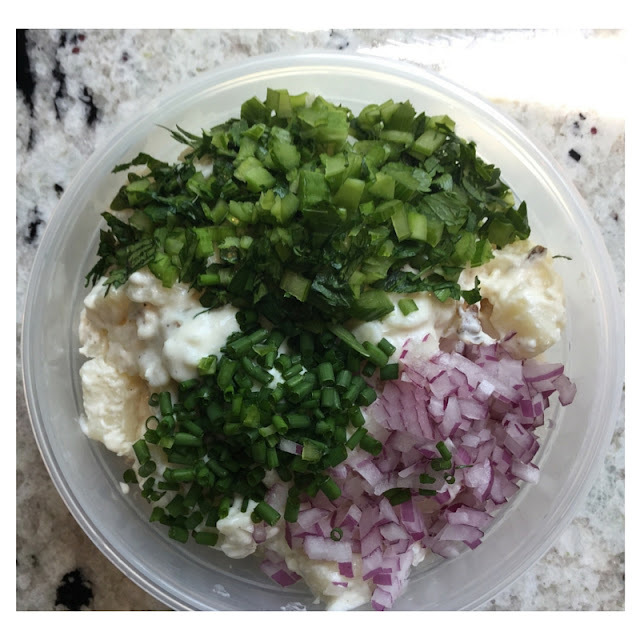 I love the idea of adding celery, onions, and chives! That would definitely turn a bland potato salad into something more fun and delicious. Sometimes I just need to go with a semi-homemade option, Theresa. The celery, onion and chives just make good better! Great idea. About to give it a go!